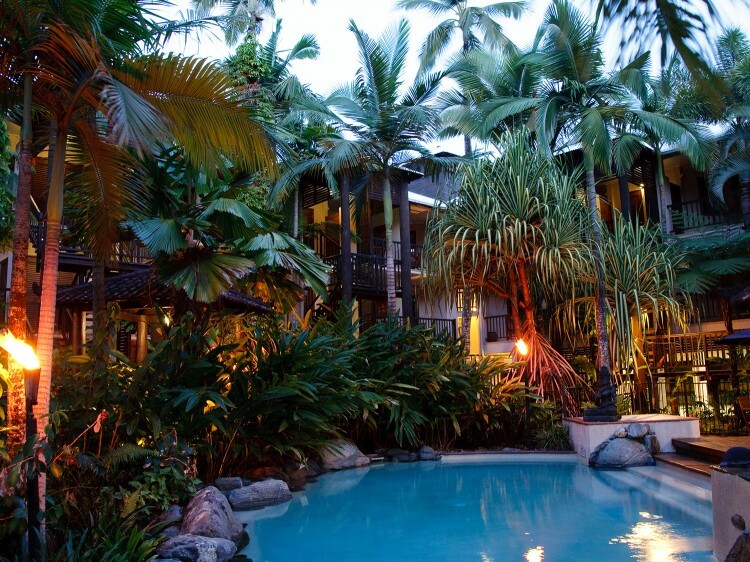 Hibiscus Resort & Spa is ideally located just 100 metres from the main shopping area in Port Douglas Village and 300 metres from famous Port Douglas Four Mile Beach and lively Marina Mirage. 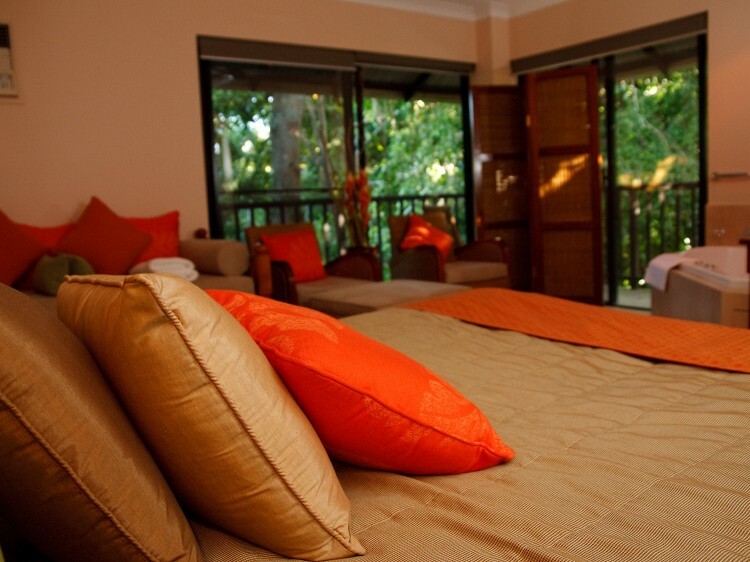 This exhilarating, award winning spa resort consists of studio, one and two bedroom apartments. Lush tropical gardens swirl around your balcony. 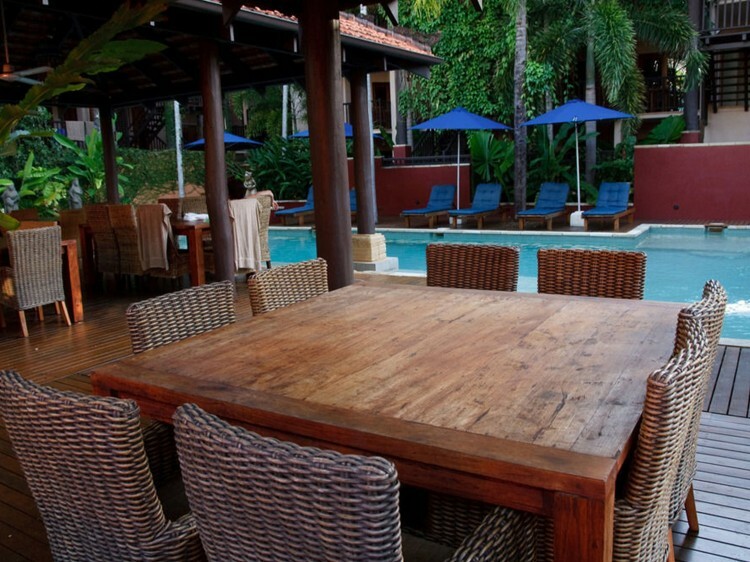 Teak and cedar furnishings create a calm, soothing atmosphere. Carved stone statues guard the inviting pools and ponds. Heliconia, ginger, hibiscus and frangipani scent the night air. Close your eyes and inhale the fragrance of the perfumed skies. Sand, hibiscus, frangipani, and banana leaf green are colours of choice. Hibiscus Resort and Spa has a special charm that stimulates the sixth sense, the sense of pleasure. Soak up a day on a sun-bed, laze in the tranquil waters of the resort pools. Hibiscus Resort and Spa uses the finest Australian produced wellbeing Spa range. This wellness philosophy and product range taps into the natural and spiritual qualities of the Australian earth. A fusion of ancient plant wisdom and holistic healing principles Hibiscus Spa incorporates pure organic natives, premium grade botanicals and potent essential oils.